Leftovers etc. – Your one stop Resource Center and more! Leftovers is temporarily closed for business. We are sorry for the inconvenience. Please stay tuned for updates as we locate a new space. Come and Experience Leftovers etc.! A unique agency dedicated to supplying children and educators the basic tools and materials needed for creative living made available by surplus resources donated by business, industry and the local communities committed to the development and advancement of Education and the Arts. All of our instructors have years of experience. Practical learning in a hands on environment. Parents are always welcome at Leftovers. One on one lessons with each instructor is available as is group lessons in dance and vocal. Sandy became involved with this organization in 1992. She started her administrative career at McDonnell Douglas Corporation, left to have her two children, and returned to the Boeing Company until her retirement in 1999. She was promoted to the Executive Administrative Assistant position at a very young age and was involved in all of the Presidential and Vice Presidential visits.Her experience spanned a wide spectrum of aircraft and spacecraft projects where she learned the intricacies of running a large corporation. She comes from a family-owned business background which has served her well in her day-to-day services with this organization. She served on the Board of Directors as Secretary/Treasurer from 1993 to 2002 at which time she assumed the position of Chief Executive Officer. Stephanie has been working for us since our move to Maryland Heights. As she says, “she’s just an ordinary girl (Mother of 2, however – which does not make her “ordinary” by any stretch of the imagination). Stephanie has a number of disabilities brought on by a car accident many years ago, but she LOVES working here, and we LOVE having her here. 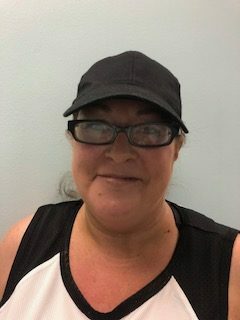 She is in charge of our Warehouse and does all the sorting and handling of the donations from 30,000+ people in the course of a year. KUDDOs to her for her stamina. Shurm began his education in business management through Maryville University. He started his career as a machinist and has steadily advanced to General Manager/Engineer at a Machine Shop in St. Louis. 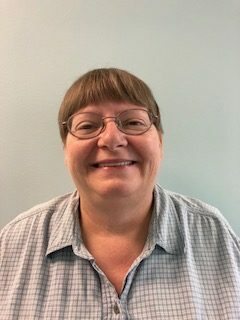 Shurm has been involved in the Boy Scouts for the past 10 years as a Den leader trainer, Den leader, and committee chair and received several hours of training and youth protection courses. For the past 8 years, he has volunteered with the National Multiple Sclerosis Society as a SAG (Support And Gear) driver for their annual bike ride. Shurm started playing guitar 38 years ago and is pretty-much self-taught, according to him. He has also studied trumpet, ukulele, bagpipes, tin whistle, and bass. 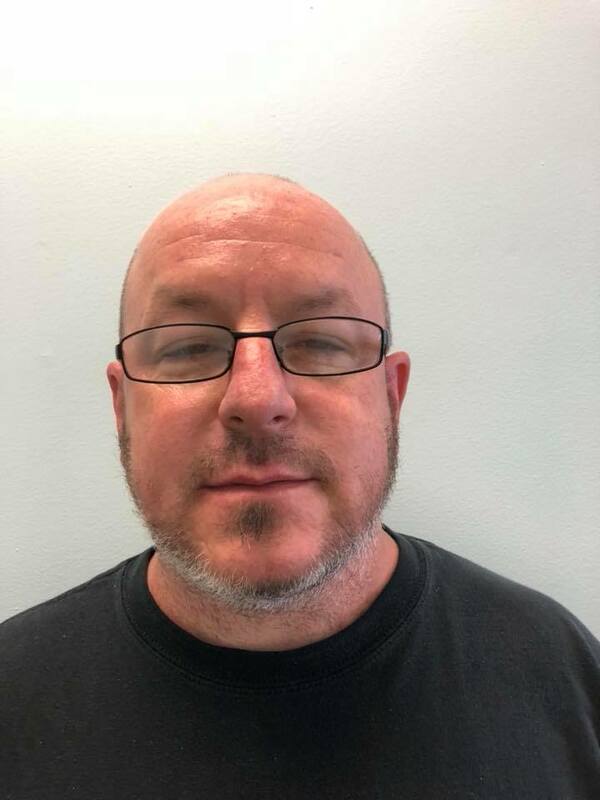 He has been teaching guitar and Cub/Boy Scout classes with us for the past 4-5 years. (I think we need to explore bagpipes and tin whistle – whatever that is – LOL). I made him SIT DOWN for his picture because he’s probably twice my size. Received her Associate’s degree in accounting and bookkeeping through St. Charles Community College. Worked in the accounts payable department at McDonnell Douglas Automation Company. Jane was a former Brownie leader, and is very active in her Church through which she has been background checked. Jane is one of those rare breed who spends 1/2 the year in St. Louis and the other half in Arizona (obviously to avoid the cold). She is with us 1/2 of the year and is in charge of our “PANTRY” section. We always love having her with us. She is also one of the volunteers who followed us from St. Charles. Becki is one of our program facilitators (Girl Scouts/Pinterest, etc). 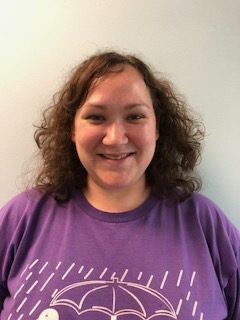 She works with families in crisis at a local crisis center by answering a 24/7 crisis line, assisting in therapeutic intervention and direct care of children ages 0-12. Becki has also taught preschool programs at several centers in the STL/STC area. She has a strong background in child development, art and psychology with a passion for art and working with children. She is an active Girl Scout Junior/Brownie Troop leader for 5 years, a Girl Scout Member for 10 years and a Junior (Youth) Advisory Board Facilitator for 6 years. She is background checked yearly through Girl Scouts. She is the leader who developed our “Journey In A Day” program for which we truly love her. She began dancing at the age of 3 and started her professional dance career in Branson and has performed professionally all over the US as well as in Russia, Denmark and other countries. Spent time dancing on a cruise ship while seeing other parts of the world. Has danced at the Muny, and attended several Ballet Company summer camps throughout her career. She has won several dance titles and spent several years dancing with the Little Steam Heat, the young dance group for the St. Louis Steamers. She is our Dance Director for Center Stage Performing Arts and has a bubbly personality and hilarious sense of humor. And, as a proud Mom, even at her age, she can still out dance anyone she comes up against. Works for The Boeing Company in the factory as a machinist, where obviously he’s been background checked. In his spare time, he puts his college schooling to work on our website and other things that a graphic designer does. When you visit us, you can see his artwork hanging in our entrance – the St. Louis Arch. At least he started working for the Boeing Company after I left. They probably wouldn’t be able to handle both of us at the same time. At some point in time, I’ll talk him in to doing some oil painting classes with us, but that won’t happen any time soon. High School, College, Army and Semi-professional Baseball player. 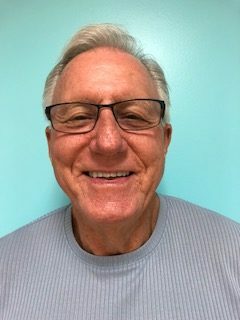 18 years as a Sports referee and umpire for high school and college baseball, basketball and softball teams. Ten years experience with the same children’s teams. Former Assistant Cub Pack Master for BSA. Five years experience as a substitute teacher in the Lindbergh School District; four years experience teaching dance to developmentally disabled students and patients with dementia. Army commissioned officer and Vietnam Vet. Traveled extensively around the world. Previously background checked. Now is teaching ballroom classes with our Center Stage Performing Arts and is willing to teach classes during the day and evening to couples and families. 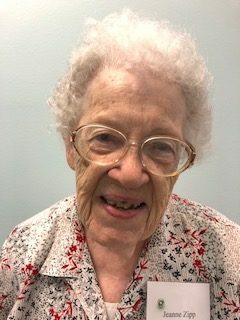 Jeanne graduated from Fontbonne College probably before most of you were born with a degree in Dietetics (Nutrition) – WHICH IS PROBABLY WHY SHE WILL OUTLIVE ALL OF US. Has worked in many nursing facilities as a consultant in her career choice. 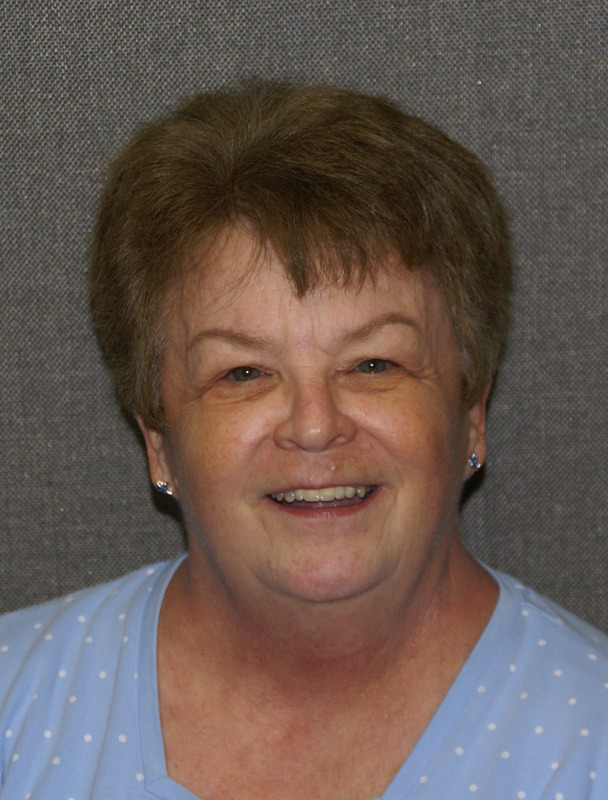 Jeanne has been a “crafter” for 35 years and teaches evening/weekend craft and sewing classes at Meramec Community College. She conducts a number of our sewing and craft classes here. AND JUST SO EVERYONE KNOWS, SHE WAS SITTING BEHIND ME, LAUGHING, WHEN I WROTE THIS. I do believe, we have the same sense of humor!!!!! Mary Harris earned her BS from Cornell University and MAT from Michigan State University in science education. 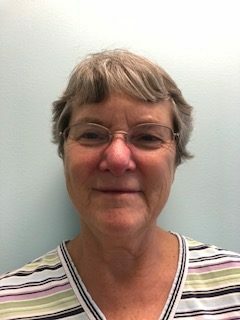 She has taught middle school physical science and high school chemistry for 38 years in Michigan, California and lastly at John Burroughs School in STL. Now retired, she tutors nursing students at UMSL and volunteers at Leftovers. She passed background checks in all three states. She will be teaching art (very creative) and other classes for us. Received her music major at Mineral Area College in Park Hills, MO; a Psychology major at UMSL. Previously worked for Judevine Center for Autism; St. Cletus School as a substitute teacher and clerical work with Mercy Hospital. Started singing at 7; organ lesson at 9, piano lessons at 11; also plays Clarinet and Violin. Started Professional College level voice in High School and on through college. 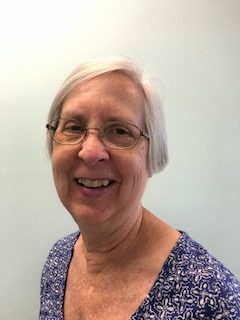 Jean is our Music Director for Center Stage Performing Arts and also is a classroom facilitator and loves making jewelry. Bachelor Degree in Psychology from McKendree College, Lebanon, IL. Employment experience includes Social Services with Barnes Jewish Extended Care in Clayton which included grief and coping with healthcare issues; Medicare, etc. Most recently was a Behavioral Community Support Worker with BJC Health Systems. Other training: Sexual Assault – Critical Incident Stress, Motivational Enhancement Therapy, Non-violent Crisis Intervention. Also the Mom of a Down syndrome boy who participates in our Albert’s Rising Star program. Previously background checked. Chris previously worked at Indiana Bell and Southwestern Bell in the clerical field. 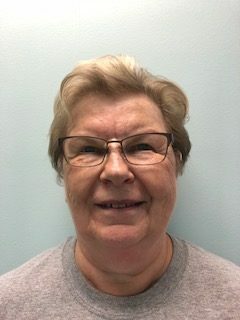 Upon her retirement, she has volunteered at Castlio Elementary School in the Francis Howell School District since 1991, where she is background checked, and is one of the volunteers who followed us to our new location from St. Charles. She has been in charge of our Book Exchange and our Kiddie Book Exchange since 2003. If we start up a “reading program” for the Homeschool Community (which is likely), she will conduct those classes. 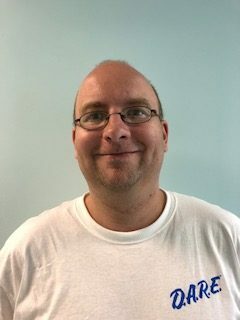 STEM Instructor – OUR STEM INSTRUCTOR – Mr. Coleman is fully certified through the State of Missouri and has been a full-time Science teacher for the past six years. He currently teaches at a school in Fenton and has also helped run a summer science camp for five years in Columbia. 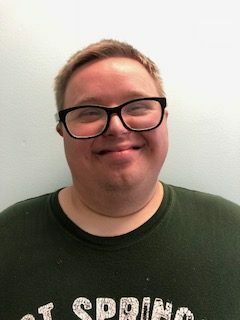 Travis has worked with students of various ages and ability levels and has earned credentials from NASA’s “GLOBE” program, The Missouri Minerals Education Foundation, the National Great Rivers Research and Education program, the Civil Air Patrol, Finn Laboratory Safety Training program and several others.